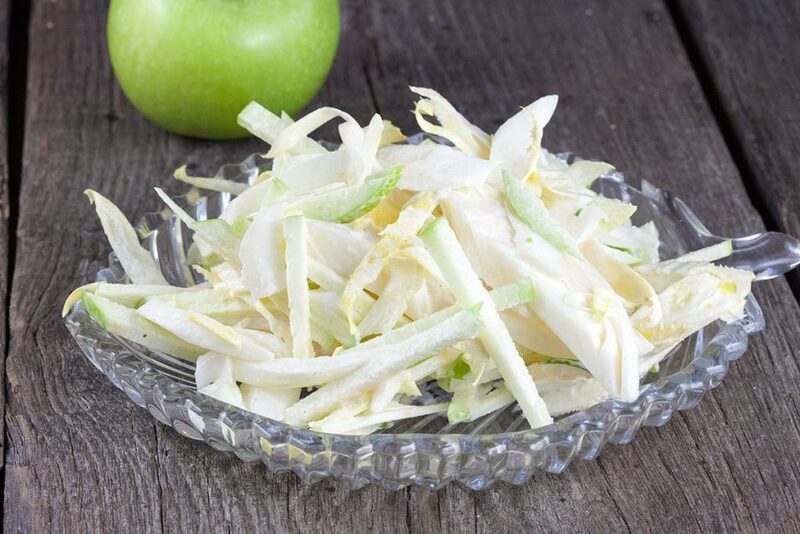 Super crunchy chicory salad with green apples and a creamy dressing. Perfect side dish for all kinds of meat and fish. Ready in 10 minutes.